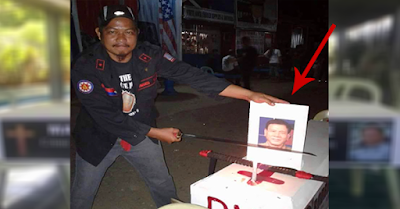 MUST WATCH: A Video Of Two Men Holding Samurai Pointing Over Mayor Duterte's Head! 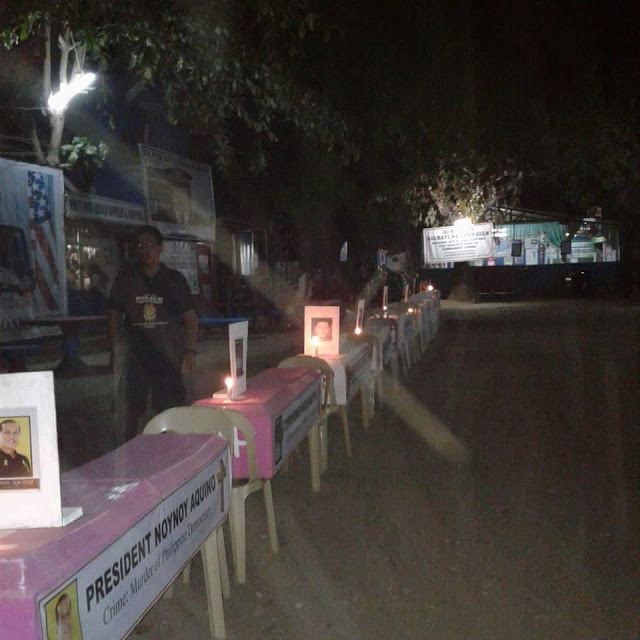 The official counting for the presidential election is not yet over. 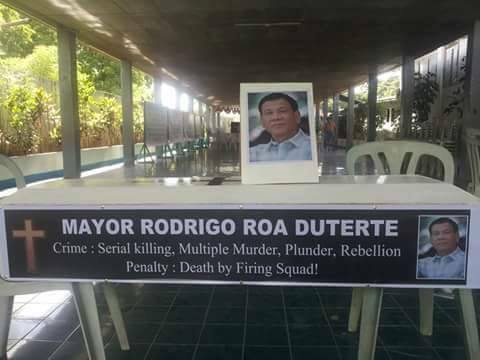 But the 6 million leading votes of Mayor Rodrigo Duterte say it all. He could be the next president of the Republic of the Philippines. From the filing for the candidacy to the last minute of the campaign and some meeting de avance, you saw the big crowd that always support Mayor Duterte. So it was not surprising that in today's counting period, Duterte is now leading among those presidential candidates. But you cannot please all, as a usual saying. There will always be an opponent along the way. Just like how these two men expressed about how they hated Mayor Duterte. People are talking about the photos viral today in social media. 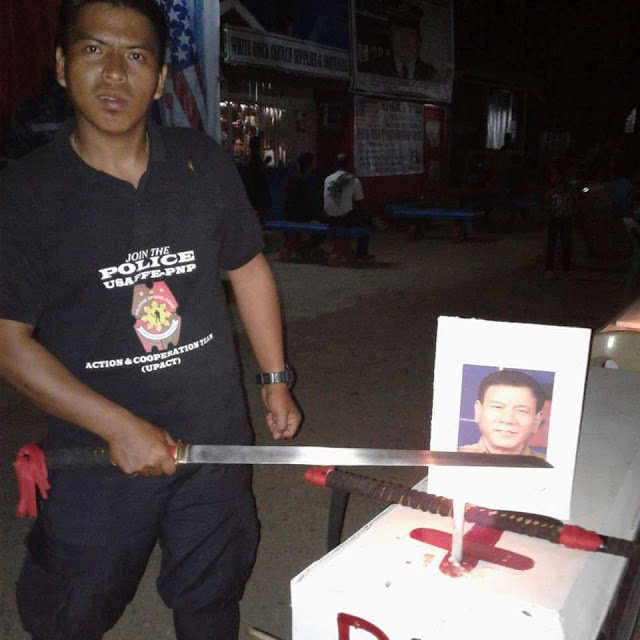 The men were wearing police uniform and was holding a samurai and placing it on the neck of Mayor Duterte's picture. 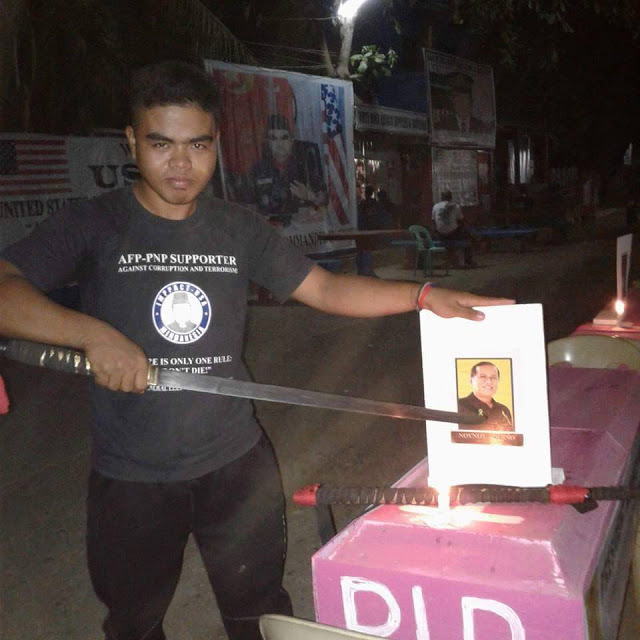 The man was wearing UPCAT t shirt. 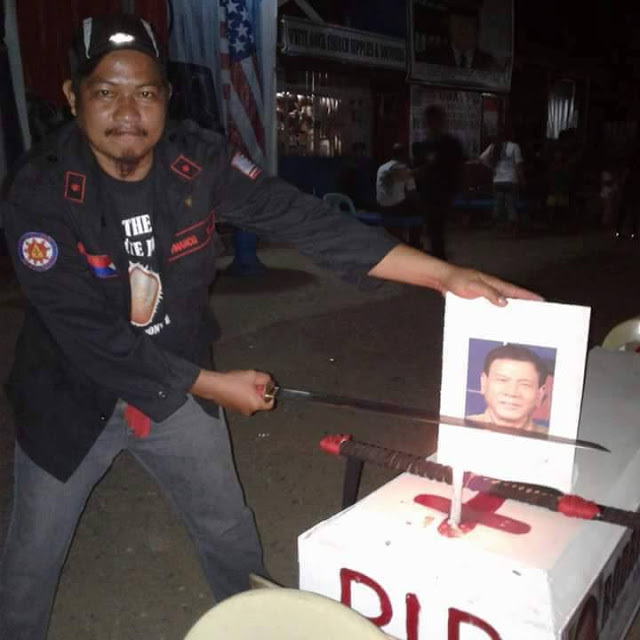 The man was holding samurai and pointing against picture of Mayor Duterte.